The Wendy is an open toe shoe which can be as casual or dressy as you would like by changing of the mesh insert (either plain or glitter mesh). The strap shown is an arch wrap which holds the foot securely but it can also be worn around the ankle. Since it is an open toe shoe, it is generally recommended that you go down one-half (1/2) size smaller than your street shoe. 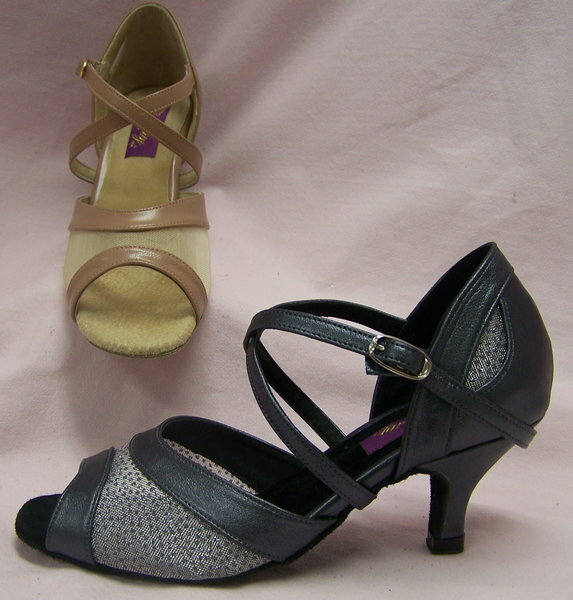 This shoe comes with a snap closure but the rhinestone quick release is an option. American Classic Customizations.